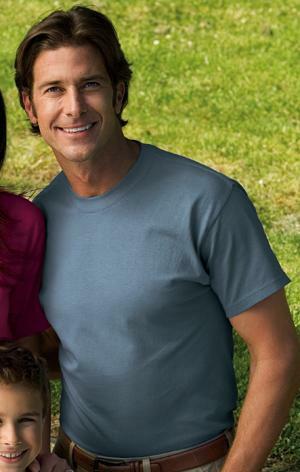 Experience real comfort with the Hanes ComfortSoft® Tee. Made with 5.2-oz. super soft cotton. Double-needle stitched sleeves. 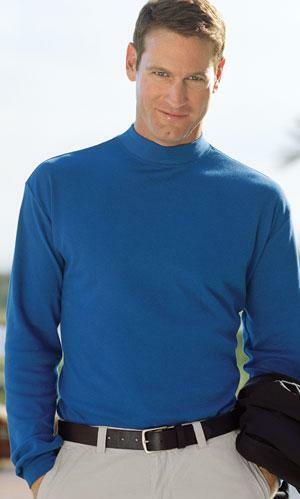 Lay Flat Collar. 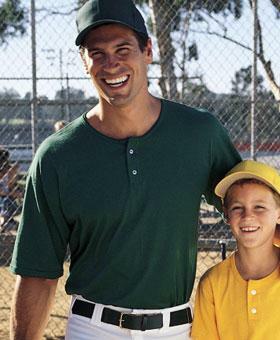 Shoulder-to-shoulder taping. 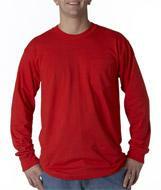 5.5-ounce, 50/50 cotton/poly, double-needle sleeve and bottom hem. 6.1-ounce, 100% ring spun cotton; taped shoulder to shoulder, double-needle coverseamed neck, double-needle sleeve and bottom hem. 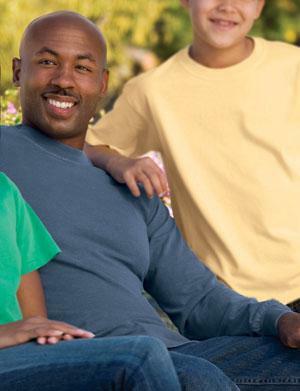 BROWN IS NOW CALLED DARK CHOCOLATE. WE WILL CHANGE YOUR ORDER TO THAT COLOR. 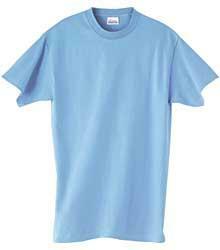 6.1-ounce, 100% cotton; taped shoulder to shoulder, coverseamed neck, double-needle sleeve and bottom hem. 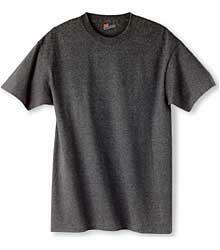 6.1-ounce, 100% cotton; double-needle bottom hem. 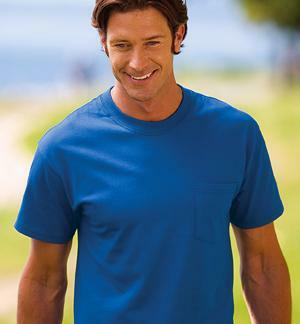 Heavyweight t-shirt has a crisp, clean look with accent color around the neck and sleeve trim. Great style at a tremendous value! 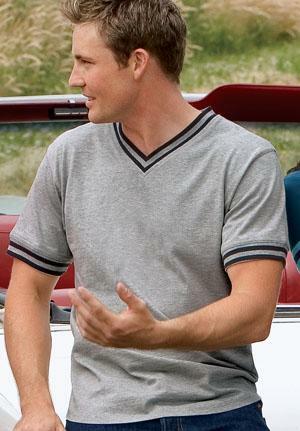 6.1-ounce heavyweight 100% cotton jersey; 17 singles, taped shoulder to shoulder, coverseamed neck, double-needle bottom hem. 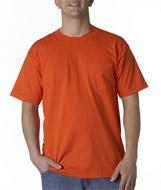 Extra-heavy t-shirt in a 5.6 oz., 50/50 cotton/polyester blend that hold its shape and color. 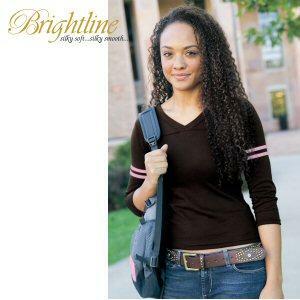 Sports a ribbed collar, taped shoulder-to--shoulder construction and double-needle stitching at the sleeves and bottom band. 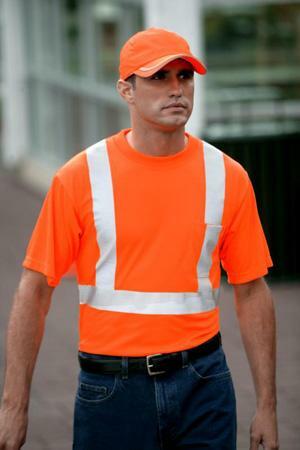 With left chest pocket. 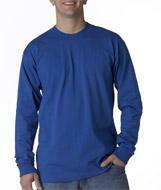 50/50 poly/cotton, 5.5oz l/s tee. 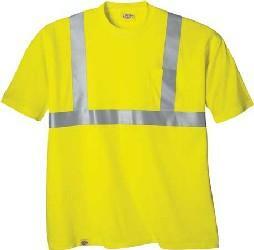 Features: 20 singles, taped shoulder to shoulder, double needle bottom hem, ribbed collar and cuff. 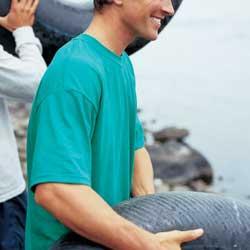 Lightweight 3.69-ounce, 100% ring spun combed cotton; 40-singles. 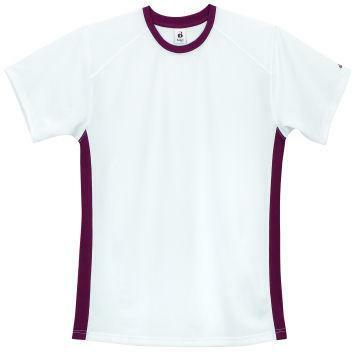 Preshrunk and colorfast to look great wash after wash. Incredibly soft with a slightly more fitted silhouette. 6.1 oz. 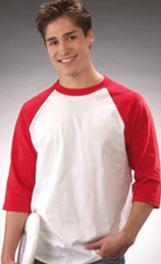 100% pre-shrunk cotton with double-needle hemmed sleeves and bottom, taped shoulder to shoulder. USA fabric sewn in the USA by the Graphic Communications Union, GCIU. 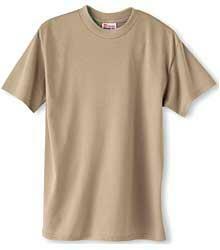 -6.5 oz., 100% combed cotton interlock short sleeve scoop neck t-shirt. -Set-on self-fabric binding around neck. 100% 5.5 oz. 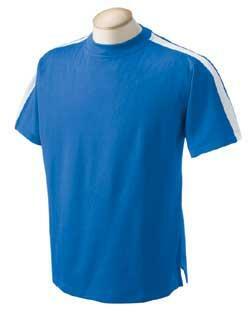 pre-shrunk cotton, covertaped shoulder to shoulder. 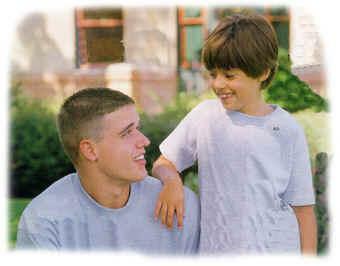 -6.5 oz., 100% combed cotton interlock sleeveless t-shirt. -Contrasting set-in trim around neck, armholes and set in side panels. 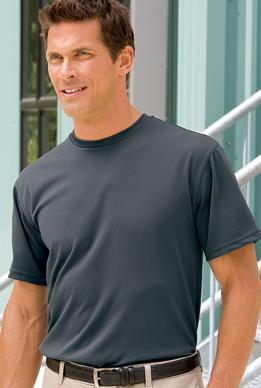 -6.5 oz., 100% combed cotton interlock short sleeve v-notch keyhole t-shirt. -Set-on self-fabric binding around neck and keyhole. 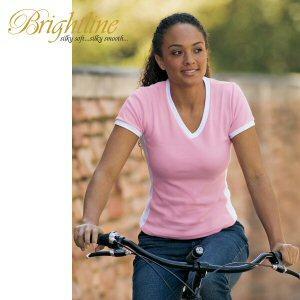 -6.5 oz., 100% combed cotton interlock tank top. 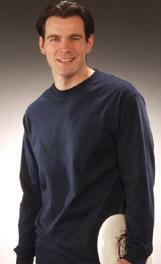 -Narrow set-on self-fabric binding across chest and back. -Double-needle stitched bottom hem. DISCONTINUED - Limited stock in white, white/black and white/pink. Add colors to notes of order. 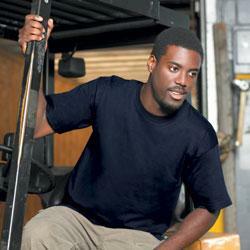 -6.5 oz., 100% combed cotton interlock v-neck t-shirt. -Contrasting color set-in crossover collar, sleeve cuffs and side panels. 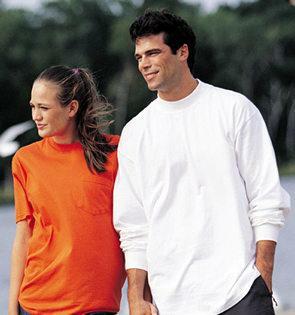 6.1-ounce, heavyweight 100% cotton; spandex in the collar and cuffs, taped from shoulder to shoulder, coverseamed neck, double-needle collar and bottom hem. 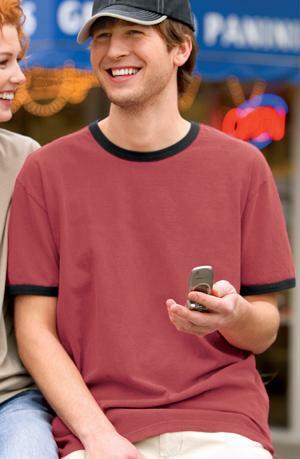 -6.5 oz., 100% combed cotton interlock three-quarter sleeve v-neck t-shirt. 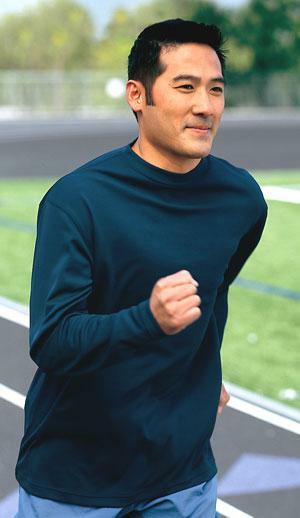 -Both sleeves have two contrasting varsity stripes. -Double-needle stitched around cuffs and bottom hem. 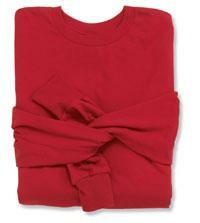 6.1-ounce, 100% cotton pigment-washed body for incredible softness. Sewn-on reactive-dyed collar and cuffs for great contrast. Pre-shrunk; double-needle hem for lasting wear. 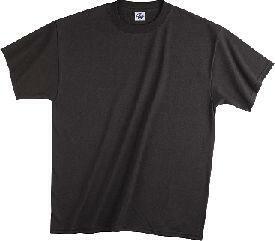 -6.5 oz., 100% combed cotton interlock "twofer" t-shirt. 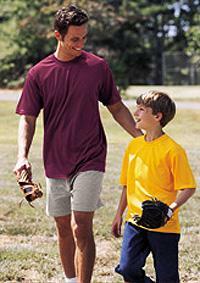 -Short sleeve t-shirt with contrasting faux long sleeves attached for a layer look. -Set-on collar and sleeve binding. 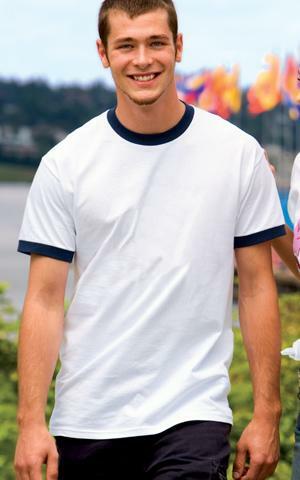 Along with all the comfort of a wardrobe favorite, these tees have the popular look of contrasting rib knit collar and sleeve cuffs. 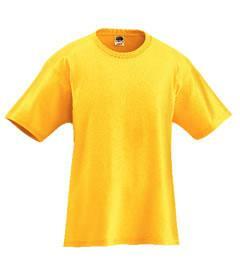 3.69-ounce, 100% ring spun combed cotton; 40-singles yarn for a finer knit. 1" double needle bottom hem. 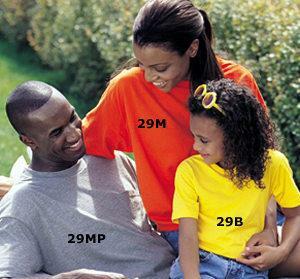 Make the best memories of your life in one of the coolest tees around. The slim fit is fashionable and comfortable, designed to last from one adventure to the next. 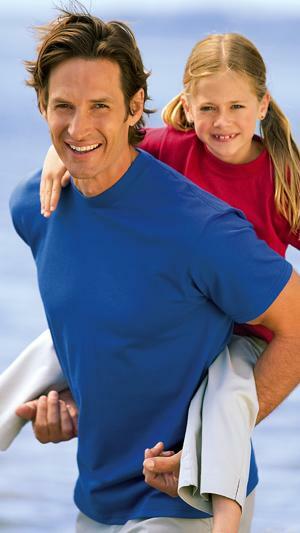 Colorfast 3.69-ounce, 100% ring spin combed cotton; fine knit for an unbelievably smooth hand. 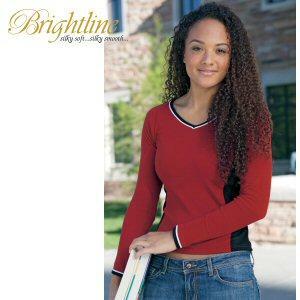 Accentuate casual style with pigment-dyed colors that have a comfortable lived-in look. 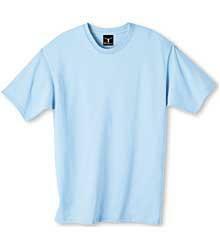 6.1-ounce, 100% pigment-dyed and preshrunk cotton with a seamless, double-needle collar. 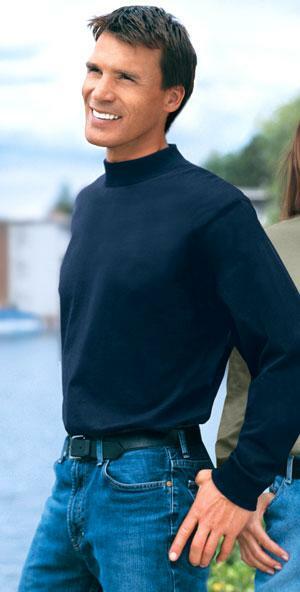 Neck and shoulder tape, double-needle sleeves and bottom hem for lasting wear. 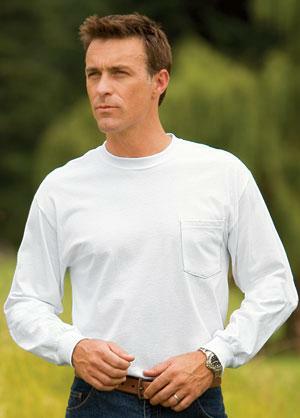 6.3-ounce, 100% ring spun combed cotton; coverseamed, spandex in collar and cuffs, double-needle collar and bottom hem. 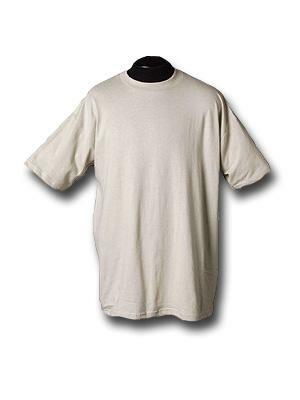 5.4 oz 50% cotton/50% polyester open-end yarn with full cut specs Crew neck Two-needle short sleeve Two-needle hemmed bottom Taped shoulder-to-shoulder Made in U.S.A.
6.25 oz. 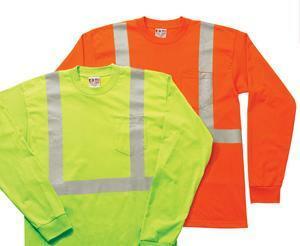 interlock 100% polyester, ANSI 2004-107 Class 2 garment utilizes 3M Scotchlite Reflective Material. 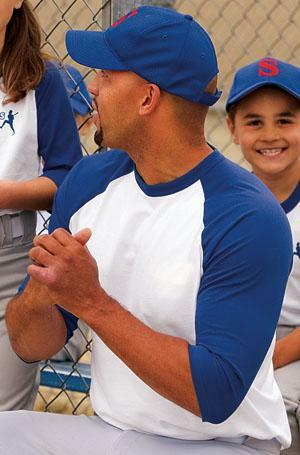 Generous fit with taped neck and shoulder seams for comfort and durability. 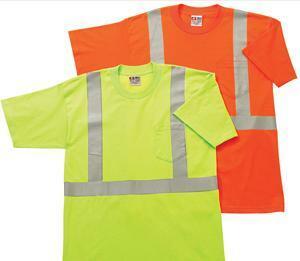 5.4 oz 50% cotton/50% polyester open-end yarn with full cut specs Crew neck Two-needle short sleeve Left chest pocket Two-needle hemmed bottom Taped shoulder-to-shoulder Made in U.S.A.